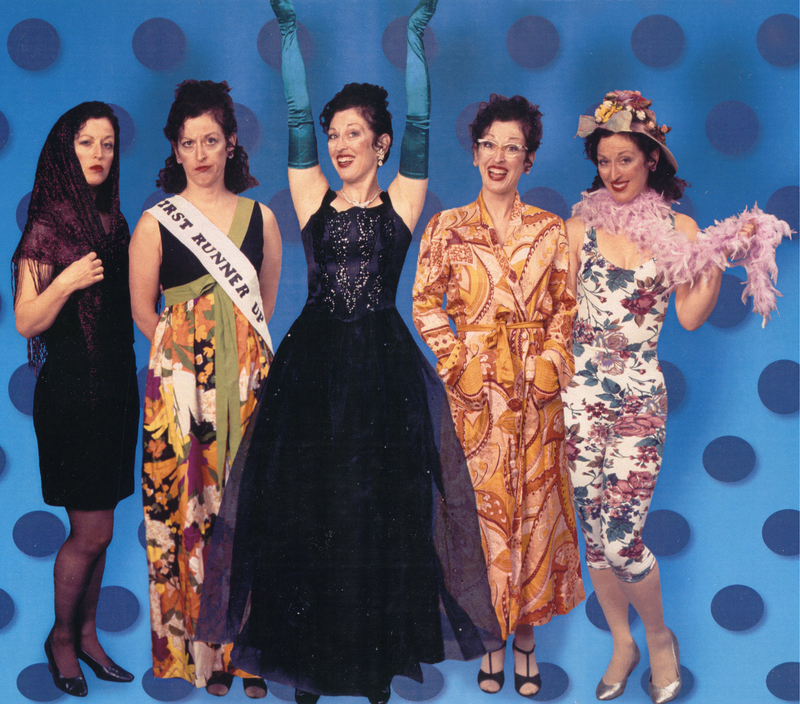 Voted Cabaret Hotline Online's pick for Best Female Musical Sketch Comedy Artist of 2001 for "Polish Diva from Milwaukee"
THE POLISH DIVA'S POLKA PARTY CD IS HERE!!!!!! Hi! The Polish Diva is back from performing on the high seas in Europe and the Caribbean! Check back for new engagements soon! ...is a hilarious musical revue written by and starring Terry Palasz, an opera trained, polka dancing, mountain climbing, soprano comedienne. 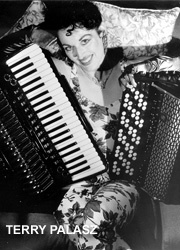 This evening of hysterical songs and characters follows Terry as she travels the world trying to escape her Polish-English-Catholic Milwaukee upbringing forever haunted by a mysterious accordion player. Through it all, Terry receives musical advice from some of her wacky and eccentric relatives, including Aunt Mickie Pryzbylski from Milwaukee (whose motto is "Life is a Polka"), Aunt Andree from England (a gardener who considers herself the Dr. Ruth of flowers), and Aunt Sylvia from Slovenia (actually a Polish gypsy who wandered into Slovenia). Terry creates these and many other characters in story and songs such as "Who Stole the Keeshka Polka," "Fugitive from Milwaukee," "Everybody Eats When They Come to My House" and "Be My Little Baby Bumblebee." 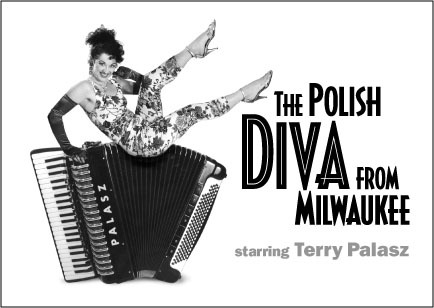 The Polish Diva from Milwaukee evolved from Terry's humorous and touching memories growing up in the Midwest. Although Terry has spent most of her adult life in Seattle and New York, her most vivid memories are of a childhood in the rich, ethnically diverse culture of Milwaukee, Wisconsin. Known for beer, polka festivals, bratwurst, bowling and church socials, Terry remembers flamboyant celebrations with lots of people eating (frankfurter macaroni casseroles and jello molds), drinking (beer and brandy hi-balls) and dancing (always polka parties). Add to this a wide array of eccentric relatives, both Polish and English, and the desire to be a classically trained singer in the land of polkas, and Polish Diva was born.